This book examines works from twelve authors from colonized cultures who write in English: William Butler Yeats, James Joyce, Joseph Conrad, Chinua Achebe, Maxine Hong Kinston, Amy Tan, Toni Morrison, Alic Walker, Sandra Cisneros, Ana Castillo, Louise Erdrich, and Leslie Marmon Silko. The book fins connection among these writers and their respective works. 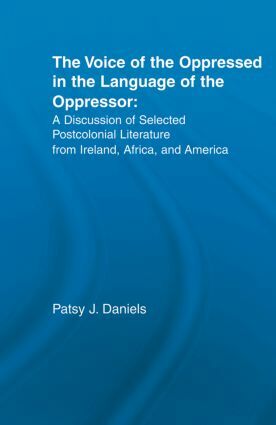 Patsy Daniels argues that the thinkers and writers of colonized culture must learn the language of the colonizer and take it back to their own community thus making themselves translators who occupy a manufactured, hybdid space between two cultures. Patsy J. Daniels teaches at Lane College.